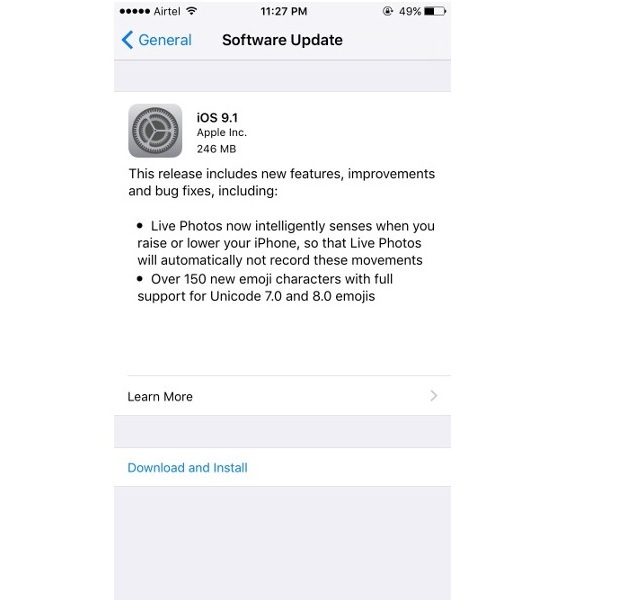 After troubling people with iOS 9.0.2 update, Apple Developers were quick to bring up the iOS 9.1 update for iPhone, iPad and iPod Touch devices. The new update however isn’t just a bug fix or improve-mental update but it brings support of 150 new emoji characters and Live Photo improvements. iOS 9.1 update also brings three new planet wallpapers and a security patch that breaks the recent iOS 9 Pangu jailbreak. Live Photos now intelligently senses when you raise or lower your iPhone so that Live Photos will automatically not record these movements.